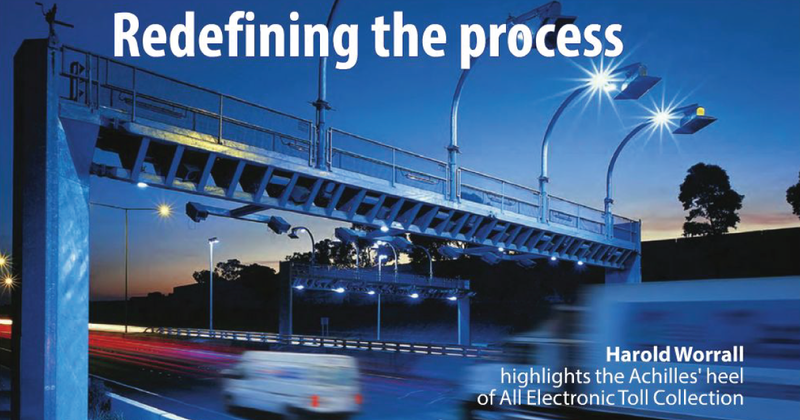 All Electronic Toll Collection (AETC) has become increasingly popular in the US for very valid reasons. Not only does AETC halt the high cost of cash collections in toll lanes but it removes a significant safety issue. As ETC use has expanded and drivers have adjusted to higher speeds in the toll collection areas, fixed toll collection barriers, toll booths and other lane equipment have become a greater safety risk. There should be no greater priority to any toll facility or highway than the safety of the traveling pub­lic. Further, with the introduction of AETC, agencies anticipated a significant reduction in overall costs of toll collection. But for the presence of a large number of infrequent customers, that would probably be true. I remember very clearly an International Bridge Tunnel and Turnpike Association (IBTTA) meeting at which Dan Greenbaum made a presentation on the infrequent cus­tomer. His presentation was based upon surveys his firm had conducted primarily on tollways in the North-Eastern US. The data indicated an extremely skewed relation­ship between revenue and the number of customers. To me, these findings seemed intuitively incorrect. However, when I was subsequently involved in performing similar surveys, the relationship was confirmed. The data from those studies describing the rela­tionship between revenue and the number of customers producing that revenue are shown in the table below. Most significant is that 80 per cent of the revenue comes from 25 per cent of the cus­tomers and 20 per cent of the revenue comes from the remaining 75 per cent of the cus­tomers. Many agencies decide to convert to AETC when their "participation rate" reaches 80 per cent. Perhaps the thinking is that 80 per cent of the customers have acquired a transponder and that only 20 per cent of the population remains. Clearly, a large num­ber of infrequent customers are yet to be acquired. If this data is correct and an agency has 1 million accounts when 80 per cent of the rev­enue is collected by ETC, one would expect 3 million additional accounts. Most who have seen data such as that presented here find it to be much more skewed than they would expect from an intuitive perspective. Various reasons are given for not accepting the relationship and include differences between urban expressways and rural turnpikes, between concentrated urban areas and suburban tollways, etc. However, once agencies con­vert to AETC, similar results to those shown in the chart become apparent. Radio frequency identification is an excep­tional solution for the frequent customer. It is convenient, usually with a discounted price from cash transactions, most of the payments are through credit card and statements are easily available for busi­ness and tax purposes. RFID has changed toll collection forever. Long lines preparing to pay tolls at manual processing speeds of 300 to 400 vehicles per hour are gone as ETC lanes process vehicles at highway speed, 1800 to 2000 per hour. All of these fantastic results of implementing ETC have been well documented, but someone was left out, in fact 80 per cent of the users of the toll facility. Once an agency converts to AETC, weak­nesses in the strategy of RFID become evi­dent. If the infrequent customer does not have a transponder, the only option is some process based on the license plate image. Imperfections in the process of acquir­ing a license plate image become evident, whether the result of environmental con­ditions, the potential that license plates are unreadable or that there are technical imperfections in the camera process. The end result is that license plate images are sometimes not available for processing. If the image is available, converting it into a digital form with sufficient surety to stand up in a legal process requires a great deal of manual image review and accompanying cost. Once in digital form determining the owner of the vehicle in an extremely mobile society (where license plate records may or may not be correct) can be difficult and result in failures in the process that come to the attention of the public. What also becomes evident is the cost of tracking individuals and receiving payment from non-RFID custom­ers. While it is difficult to acquire accurate data on the cost of this entire process activity, there is general agreement that it is the most significant cost of back-office operations. To recover these costs, agencies have passed it on to their customers in the form of extraordinary fees and penalties with the expected result of dissatisfaction with the toll agency and acceptance of tolls in gen­eral. Stories abound of customers who have accumulated enormous sums for toll viola­tions, some deserved and some not. All of this becomes much more evident when an agency converts to AETC and can cascade into a huge workload as issues go unre­solved. This public relations impact can be devastating to a public agency. At the 2014 annual meeting of the IBTTA, a shark tank event was held offering the opportunity for the private sector to dem­onstrate new innovations in toll collection. The winner of that was a small start-up (Pay­Tollo) from Silicon Valley that uses global positioning satellite and license plate rec­ognition to process tolls. While there are several applications that attempt to service the infrequent customer, PayTollo uses a process that operates from a smart phone and GPS. The process initiates with the download of the application, the entry of the method of payment and the license plate number of the vehicle that the customer will be driv­ing. Numerous vehicles can be entered and there is also the capability to define a time period for a given vehicle to be active. From that point forward the customer need not be concerned about expensive toll viola­tions in their future. If the agency identifies a license plate without an ETC transponder, the PayTollo transaction is available to pay the toll. In fact, it is possible to process the toll transaction even if the license plate image is not identified but that is an option that can be established by the agency in the business rules. The application has been in beta test and integration in Florida for eight months and is now fully operational. The application is available for use in Florida and with other state interoperable partners. It could also be a solution for inter-operability once the application is interfaced with a sufficient number of agency back-office operations. To bring the application to a new agency requires only the "mapping" of toll collection points, agreement on a set of business rules and some integration into back-office operations of the agency unless they are already interoperable by exchang­ing license plate images. The smart phone is quickly becoming the electronic wallet. It can be integrated into electronic systems on board vehicles. Smart phone applications currently handle point-of-sale transactions such as those at coffee shops, movie houses etc. With the addition of transaction capability at high speed, financial transactions can now occur for a variety of transportation fees. Tolling, public transit, commuter rail, taxi services etc. are possible with one device. The smart phone will continue to grow into the role of the electronic wallet envi­sioned by many and it is now a practical real­ity for high-speed transactions. is well known within the toll and ITS industry having served as the President of IBTTA and the Chair ITS America. He has served in a number of transportation agencies and as Executive Director of a tollway, as Chairman of the Board of Citilog, Paris, France and currently serves as the Chair of the Advisory Committee of the Board of Innovative Road Solutions, Ltd., Dushanbe, Tajikistan and serves on the Board of PayTollo, San Jose, CA. He has also taught transportation policy at Masters level at the University of Central Florida, Orlando, FL.